The RYA Day Skipper Practical course is ideal for anyone who regularly sails on board a yacht. It will give you the experience, confidence and qualifications to sail not only your own boat but to charter a boat. It will look at all aspects of life at sea whilst skippering a sailing yacht during short passages. 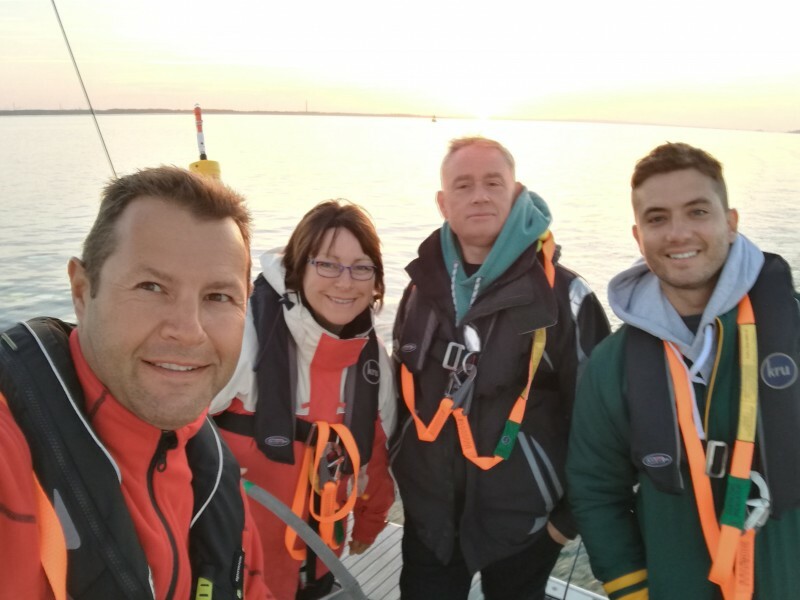 You and your fellow students will spend 5 days navigating and sailing your way across The Solent, under the guiding eye of your experienced instructor. This will also included some night sailing. You will be shown how to plan and then put into practice a variety of different passages. You will look at lots of different locations, to include the execution of pilotage plans skills in to (and out of!) busy rivers, anchorages and marinas. Other areas covered will be interpreting weather forecasts, engine maintenance, sail handling and sail trim. With your RYA Day Skipper qualification, you will boost your confidence to take charge of a sailing yacht and explore beautiful harbours and anchorages. You can also then apply for your ICC to allow you to charter abroad. To complete this course you will have had some previous experience of sailing including 5 days onboard a yacht, 100 miles at sea, and 4 night hours sailing a yacht. This might be through doing a previous Competent Crew course, if not your experience needs to be of this level. We would also recommend that you do the Day Skipper theory beforehand, which we offer both as an online or classroom course. This enables you to put chartwork knowledge into practice rather than learning everything whilst afloat. We run these courses regularly, with various different start points to help fit everyone lifestyle. We also do a split weekend course option. The next few dates are listed below, but we run throughout the year.